The Porsche 911 GT2 RS is the fastest 911 that money can buy. It offers jaw dropping supercar performance and starts at just under $300,000. That price isn’t cheap, but for a car that can lap the Nürburgring in just 6:47.25, it isn’t bad. To put this in perspective, the Porsche 918 Spyder lapped the same circuit in 6:57. That’s the same 918 Spyder that started at a bit under $1,000,000. Today we have this 2013 Porsche 911 Turbo S Cabriolet. We all know that the Porsche 911 Turbo S (991) is a very fast car. A cabriolet version of the rear-engined turbocharged monster beat a Nissan GT-R badly in a drag race. But can the Porsche keep up with an open-wheeled race car? 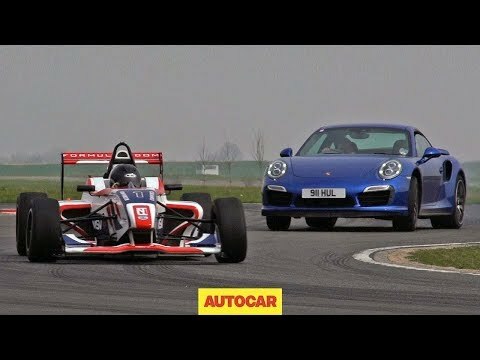 To find out, Autocar decided to pit a 911 Turbo S against a Formula 4 car. The dedicated racing machine is powered by a 2.0-liter ford engine. It can launch from 0-60 mph in just 2.9 seconds and has a top speed of just over 140 mph. Compare this to the 911 which can also rocket from 0-60 mph in 2.9 seconds (although it has been tested as fast as 2.6 seconds) and has a top speed just under 200 mph. So, in a straight line it would win easily, but what would happen on a track with corners? 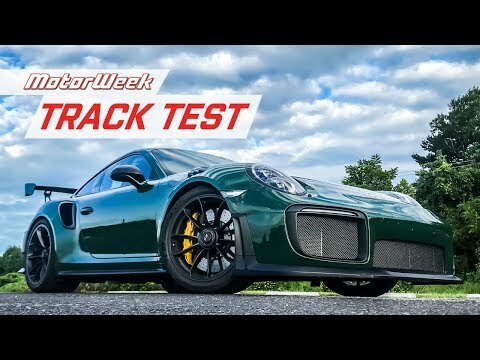 Can a Porsche 911 Turbo S manage to lap a track faster than a Formula 4 car? Or will the purpose developed car keep the turbocharged car from getting too close?